← Is It Weird That Kevin Durant is Rockin’ a SuperSonics Throwback Hat? Watch out Cubbies, here come the Friars!!!! 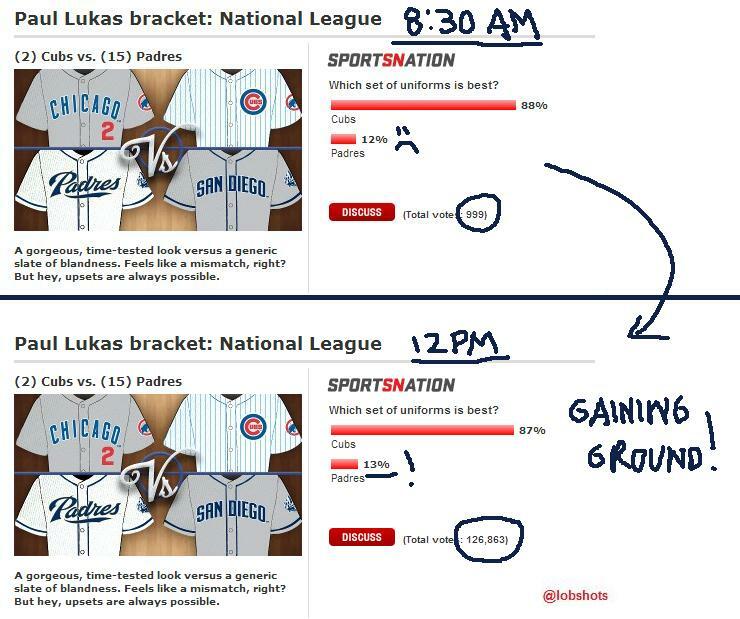 Two of my favorite ESPN writers, Paul Lukas and Jim Caple have put together a fun little bracket: “Which team has MLB’s best uniforms?” Sadly, the tournament is for current unis, so the Padres were doomed from the get-go facing the Cubs. Felt good to report that from a percentage standpoint, the Padres have been gaining ground today. 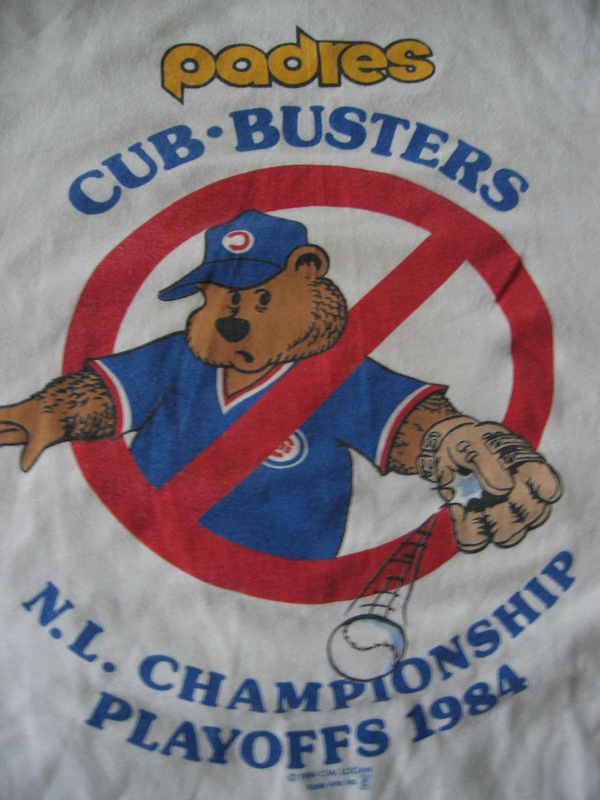 This entry was posted in Baseball, Fashion, MLB and tagged best mlb uniforms ever, Cubs, cubs padres, Padres, Uniforms. Bookmark the permalink.